The Node 202 is the ultimate PC case for those looking for a beautifully designed, compact chassis that can house a capable gaming build. This small footprint is an intelligently built unit where extreme detail was placed into the design phase to get every line and spec in perfect harmony. 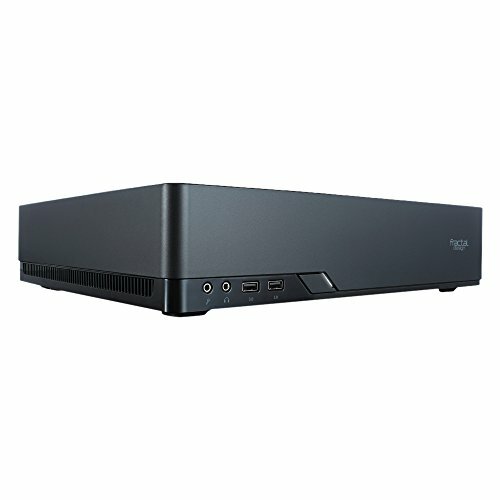 With both horizontal and vertical orientation possibilities, the Node 202 can be placed anywhere in the house. The sleek design makes it very attractive next to the TV in the living room or on your desk in the office. The internal layout of the Node 202 keeps the hot components separate and has them all placed in proximity of free-flow air so the case will run cool despite not having any extra case fans.